Living Coral, an intimidatingly bold color, seems somewhat difficult to integrate into everyday life, especially in the middle of New York City’s dreary winter landscape. However, just weeks after the color was announced, it has already found itself setting trends. Living Coral is also already showing up on the runway. The color made an appearance at the Valentino Couture Spring 2019 fashion show. Living Coral is easy to find in casual wear as well. To combat the cold, Patagonia has a classic fleece zip-up sweater in the color Tomato. In terms of activewear, Set Active’s Leggings and Sports Bras in the color Mars prove versatile for indoors or outdoors and for practically any season. Another beauty brand that has already dipped into this shade is New York City-based Glossier, whose cult-favorite product, Cloud Paint, comes in the coral shade Dawn. 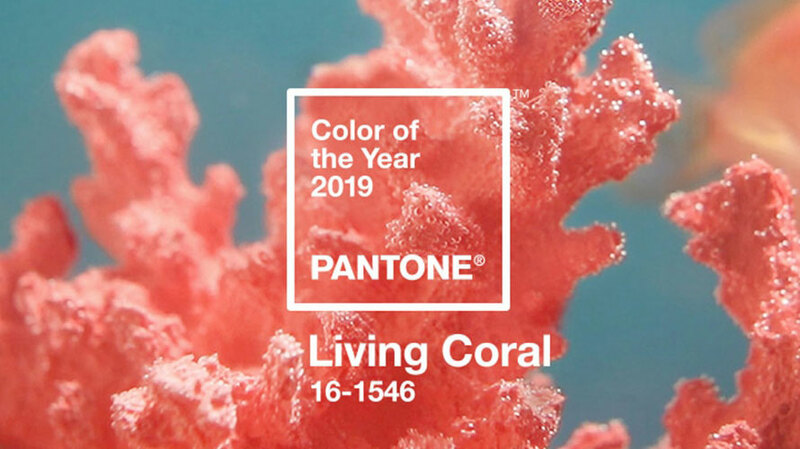 Living Coral’s vibrancy not only represents but also indicates how culture and design will play out for the rest of 2019. After the darkness of the past year, Coral serves as a small reminder of brightness.